We are kicking off the research and development phase of an exciting new live cinema project called “SOUND IN PICTURES” next month with an intensive two-day animation workshop exploring “visual music” at the amazing Stour Space in Hackney Wick, East London on the 27th & 28th of October 2018. We are looking for 12 participants, a mix of hearing, deaf and partial hearing participants to take part in this process. There will be four different animation techniques explored in the workshop each being lead by a different artist. We have the absolute pleasure to be working with animator Emily Scaife and visual artist Rueben Sutherland (Sculpture) on this project. Two of these animation units will explore the translation of a piece of existing music into a collaborative animation and two will explore the generation of silent animations that will then inform a new piece of music. This initial phase of the project is being supported by a grant from Anim18, a year-long celebration of British Animation led by Film Hub Wales and Chapter and being developed in collaboration with Live Cinema UK. Our long-term goal for the project is to create a new live cinema show that is partly audiovisual performance and partly expanded lecture that will bring both deaf and hearing audiences together to explore participation and interaction on a multitude of levels. Deadline for applications is the 7th of October. We hope you can join us on this exciting journey! 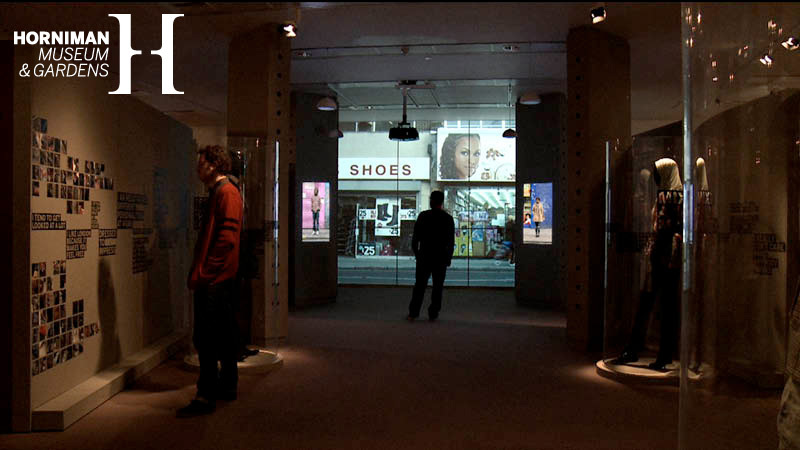 We are very proud to have a new film commission as a promenant part of the new permanent exhibition on design: Designer User Maker at the New Design Museum that just opened its doors in West Kensington, London. 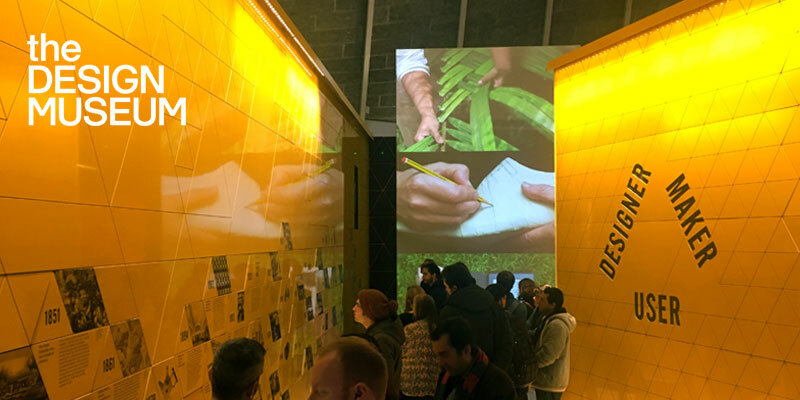 The film greets people visiting the landmark exhibition on a huge portrait lazer projection and is the result of six months of filming across the UK looking at different processes connected to design, use and making. Check out this short film featuring Christopher Thomas Allen, the projects producer & director, explaining his ideas and approach to making this landmark work for the museum. Full documentation to follow soon. Our live cinema project SuperEverything* returned to Brighton for the Brighton Digital Arts Festival in September featuring a special line up including live strings from members of The Heritage Orchestra. In September Christopher Thomas Allen was invited to lead a three day experiment in theatre and technology at The Old Market Theatre (TOM) in Hove. The project was part of TOM’s #TOMtech program which seeks to accelerate learning, promote collaboration and seed new creative ideas in digital theatre. This “hack style” lab focused on exploring how to share a VR experience with a audience who are not in VR and how VR could be utilised in a theatrical situation. Chris invited leading interactive designers The Workers, interactive sound designer Dave Meckin and Choreographer Annie Lunette Deakin-Foster to collaborate and used the new HTC Vive VR technology to create a series of experimental dance pieces. There is a short film about the process here made by TOM. More documentation of the results to follow shortly. Our live cinema project SuperEverything* returned to the USA this year with a blow show in LA at Grand Performances who program an amazing series of free concerts in the breathtaking California Plaza in the heart of Downtown. Celebrating its 30th anniversary year, the festival allowed us to bring over two amazing musical collaborators from Hands Percussion, Malaysia’s most sought-after music composer and multi-instrumentalist Ng Chor Guan as well as a trio of super talented sting musicians. This was the biggest live version of SuperEverything* we have toured so far and was an amazing night under the sky scrapers. 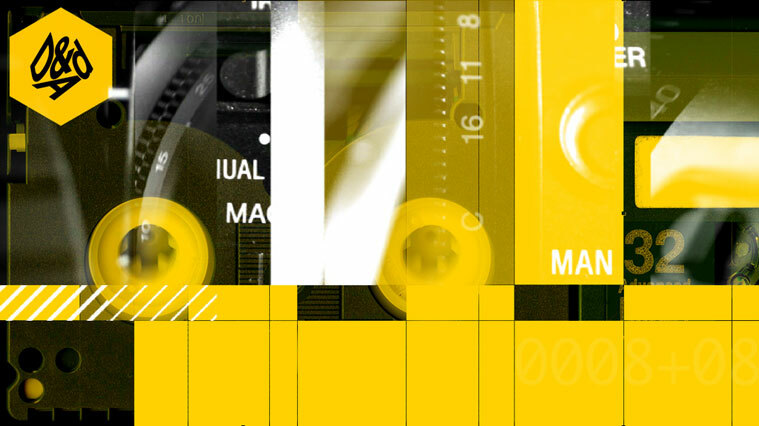 TLS Founder & Director Christopher Thomas Allen teamed up with a group of like minded av artists & creative producers this year to establish Splice Festival : London’s first audio visual performing arts festival! 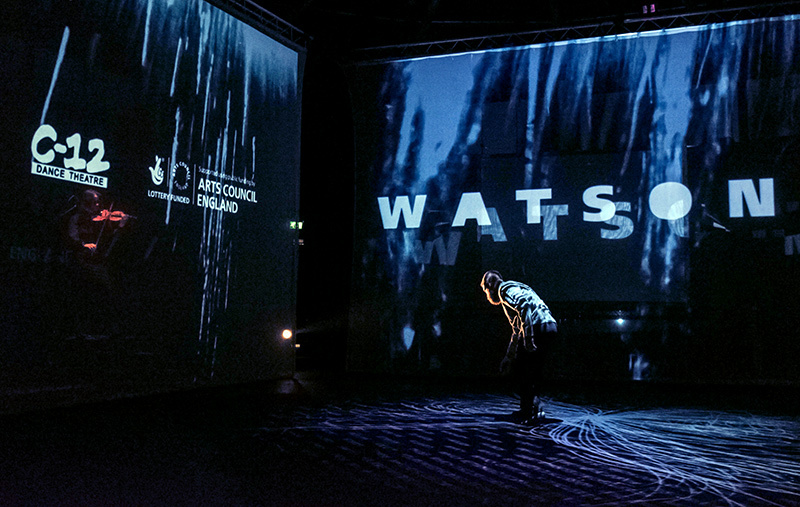 Programmed over 3 days in June and across 3 different London arts venues the festival is showcasing a range of audio visual work from across the UK and Europe with the support of Arts Council England and the AV Node that is supported by the Creative Europe Programme from the EU. An important reminder of the support the EU continues to give to arts and culture as we voted to leave! We performed our live cinema work SuperEverything* on the Saturday evening in the now defunct Shapes venue in Hackney Wick, along side amazing acts like London’s D-Fuse collective. Friday saw Additive Tv take to the stage along side Cassetteboy and a range of great artists from across the EU. We had the pleasure of working with UK psychedelic Jazz band Native Dancer earlier this year creating visuals for their EP launch at Rich Mix. Unfortunately we had some bad technical issues during the show that where out of our hands during this show, but the show looked amazing in rehearsal and we hope to get a chance to present this show again soon. 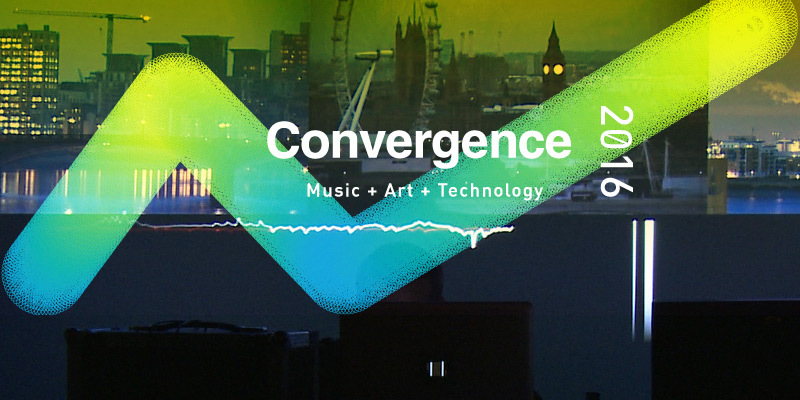 We performed a re-worked version of our live cinema piece LDN-REDUX featuring electronic artists Scanner at the Convergence Festival in London on March 20th 2016. This unique version of our audio visual city symphony featured new visual material and new music specially pulled together for the show at London’s Ace Hotel. We created a special version of the data visualisation aspect of our LDN24 installation for this years City Lab event at the Museum of London. 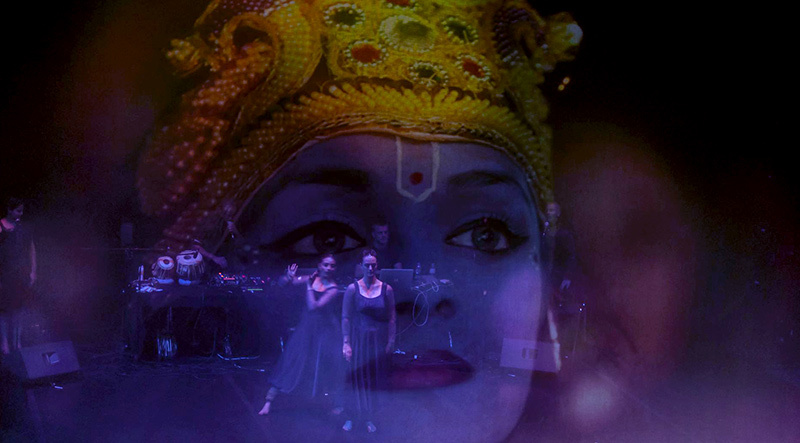 The event was curated by ACT::IV and featuring a collection of London’s leading arts companies. 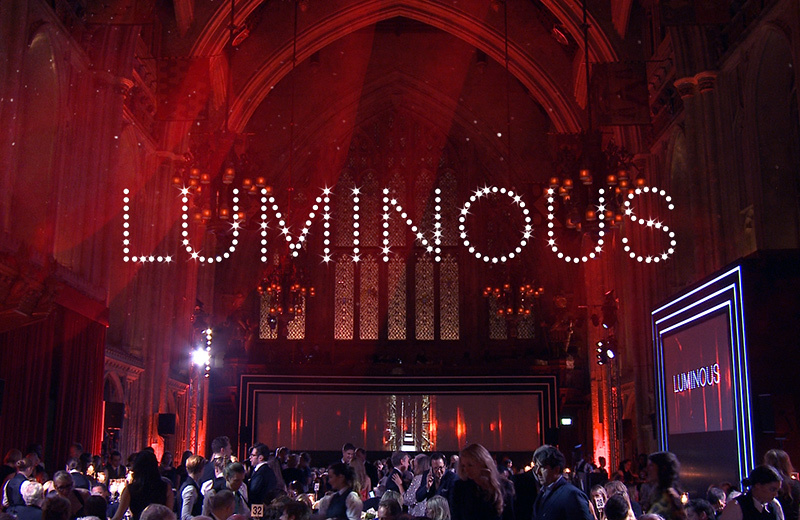 We created all the audio visual entertainment for the star studded Luminous Gala, the British Film Institute‘s biannual fundraising event that was held at London’s prestigious Guild Hall. For this years creative production we were inspired by the BFI’s Love Season and delved into their archive to explode over 100 film titles across two distinct spaces at this very glamours event in central London. More documentation will be added to our website’s Luminous page very soon. Creative Director Christopher Thomas Allen presents a special talk on our live cinema projects at the Apple Store in Covent Garden on 17th of June @ 6:30pm. Our land mark live cinema project True Fictions gets a double album release today on the NLS Lable. The 12 original tracks on the two records weave together spoken word with a range of musical genres. Each track reflects a collection of people’s stories and opinions that are collaged together and accompanied by an original musical score; each gathering a collection of voices from across the state of New York to explore the post 911 psychological landscape through different individual notions of truth and myth. This is a deluxe package that includes sleeve artwork with a spot varnish, two 180gram records and a free set of digital downloads including a bonus track by Scanone. This product can be ordered online via Bleep or Kudos our distributers online store, or the individual tracks will be available for download very soon from our Bandcamp page. Enjoy! Our new interactive project Soundfield, commissioned by Wired Magazine is presented in the historic wind tunnels in Farnborough. 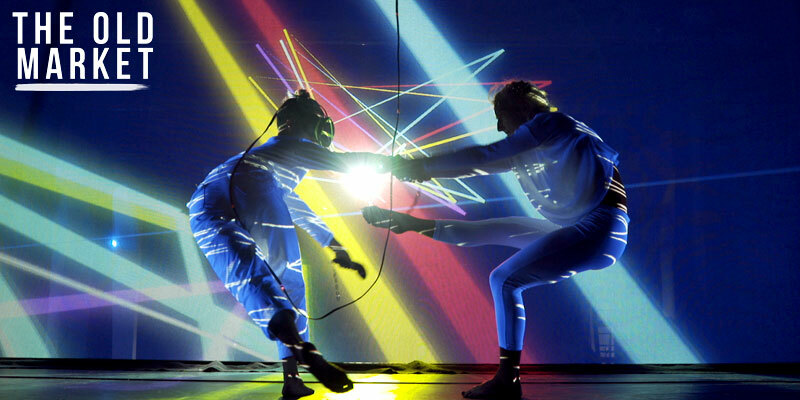 We are very excited to be performing SuperEverything* tonight (20th June), as the headline act at The Lensic Theatre in Santa Fe, New Mexico, USA, as part of the Currents New Media Festival. If you happen to be in Santa Fe then we hope to see you there! We’re very proud to be part of a new live cinema performance project by the European Souvenirs collective: Farah Rahman (the Netherlands), Karol Rakowski (Poland), Noriko Okaku (UK) and Malaventura (Spain) at this years Zemos98 Festival in Seville. 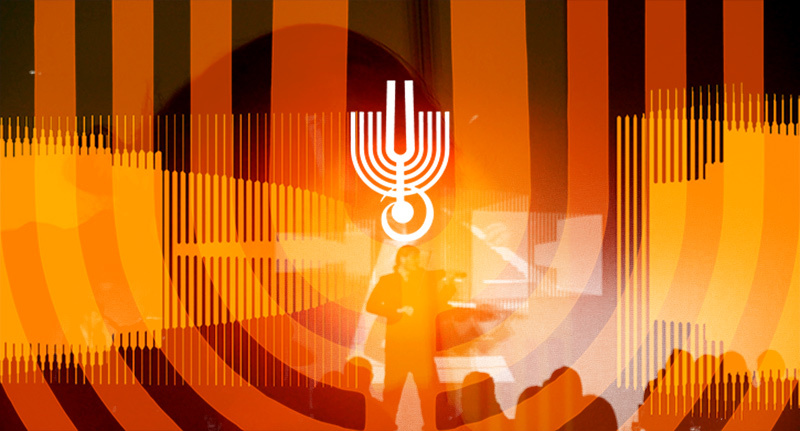 This new audio visual performance entitled €urovisions is the result of a 3 month collaboration between Light Surgeons, Zemos98 team, the European Cultural Foundation and this pan european group of audio visual artists. Through documentary film, music and graphics this live cinema show explores the subject of immigration through the lens of contemporary media. This project has been generously supported by our friends at VIDVOX. 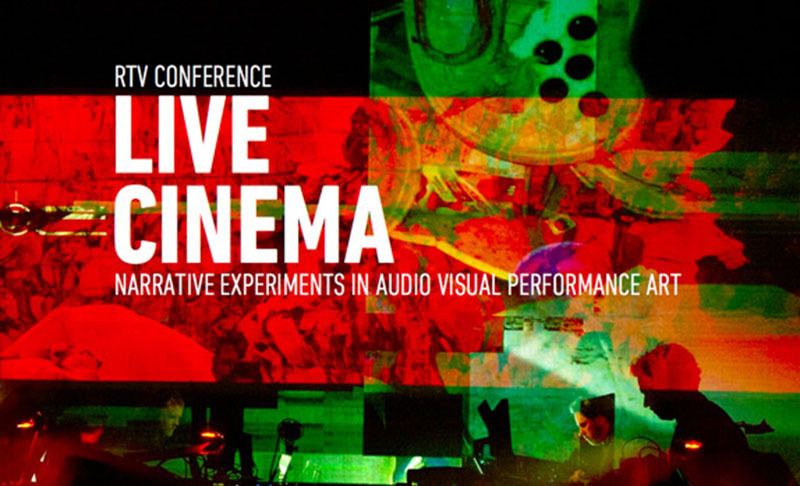 Creative Director Chris Allen has been invited to speak and perform at the Realtime Visuals Conference at Newcastle University & Culture Lab this weekend. The event is happening over 2 days and will bring together a collection of world-renowned artists and researchers to discuss convergence of technology and moving image with the performing arts. Chris will give a keynote presentation on TLS’ approach to making live cinema projects, and pose questions as to how this type of work might develop in the future. 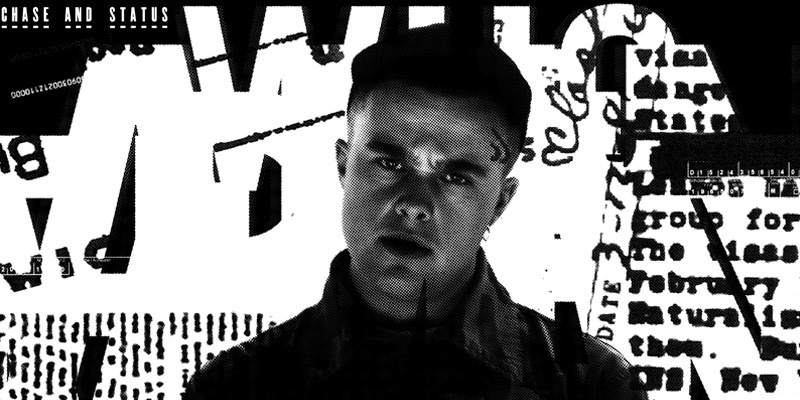 On Saturday night he will be presenting LDN-REDUX, the live AV remix of our installation LDN24, with TLS’ long term collaborator Jude Greenaway, aka Scanone. Get your tickets here for the Saturday key note talk, and the Saturday night performance. We were delighted to be asked to create a special visual show for Cinematic Orchestra at the Sydney Opera House this Sunday. Our favourite Ninja Tune artists are the headline act at the annual Graphic Festival, performing alongside the Sydney International Orchestra. This epic retrospective of the band’s work has required a set of specially created visuals, using both old and new material from our archives, and footage supplied through Getty Images, to explore the theme of “light” throughout 10 tracks. The Light Surgeons are looking for new blood. We produce a wide range of creative projects, from artist lead initiatives to design lead commissions and have a wide roster of freelance operatives that we bring together to work on different types of projects. If you’re a budding audio-visual artist, creative coder or software developer, motion graphics artist or film maker – we want to hear from you! Please tell us more about your creative exploits by sending us your CV and links to your work to the address below. We are also currently recruiting a Studio & Production Manager, further information and job spec can be found here. Please send us your CV, a covering letter and references by midday 14th of May to the address below. We are very proud to announce that our live cinema project SuperEverything* has received funding from The Arts Council England‘s national touring program this year! This is allowing us to develop the project musically with an exciting new collaboration with members from the Heritage Orchestra as well as building a new microsite for the project which you can view here. 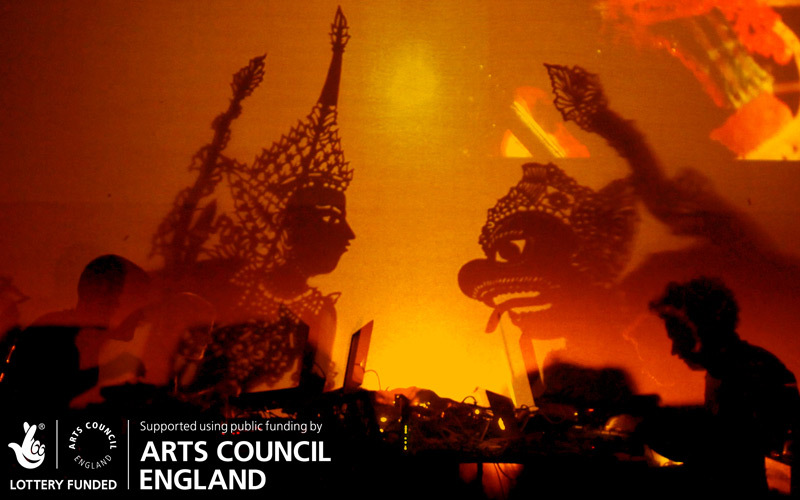 We are very thankful to the Arts Council England for this support, its the first time we’re received direct arts funding, and it will allow us to bring this amazing project, commissioned by the British Council, to new audiences in the UK. The tour start in March, with dates in Warwick, Bristol, Brighton and Gateshead between the 8th-11th, on the 19th of April we’re at Hackney Empire for a blow out London performance with the support of the Barbican… With some very special supporting acts to be announced shortly!! All ticket booking info can be found here. 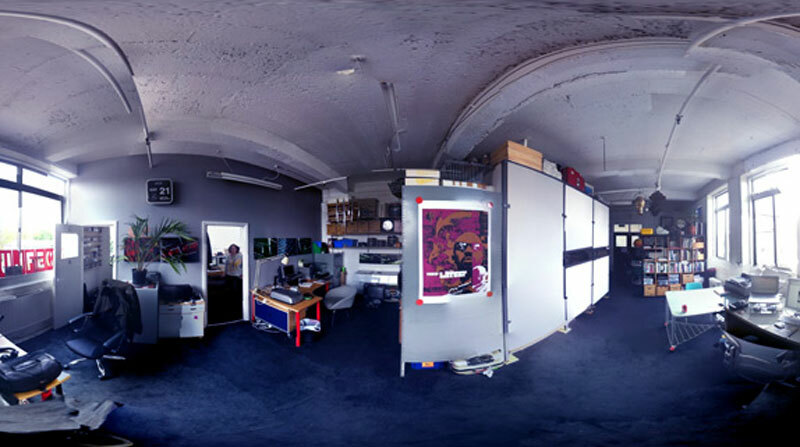 We have a very warm and quite corner of our studio space in the London Fields area of Hackney that we are looking to let. Its a self contained office with its own door and large enough for a couple of couple of desks. The studio has a kitchenette and a small meet area too. We’re looking for £400+vat per month (including internet/WiFi access, electric etc) – Please get in touch at info(at)thelightsurgeons.co.uk if your interested. We are very proud to announce that our live cinema performance SuperEverything* will have its US premiere at the Asia Society Texas Center in Houston Texas as part of the Houston Cinema Arts Festival. This will also form the beginning of a new arts residency at the Cynthia Woods Michelle Centre For The Arts where we will be developing a new project in 2013, more news on that very soon. SuperEverything* will be performed twice in Asia Society Texas Center brand new theatre space on the 9th & 10th of November at 7:30. Tickets are still available at cinemartsociety.org. Along side this performance, the festival is also presenting Christopher Thomas Allen’s media art installation DIALOG at the Cinema On the Verge gallery space at the festival HQ. We are continuing our NZ tour with a special performance of our SuperEverything* live cinema piece at the Te Manawa Gallery in Palmerston North. This event is a partner project between Vision Manawatu (Student City) and Te Manawa, involving UCOL students in the delivery process. It’s a free event open for all Massey and UCOL students of Palmerston North. Our kaleidoscopic live cinema performance SuperEverything* premieres in New Zealand this Saturday at the Mercury Theatre as the climax of the We Can Create conference. Its going to be an amazing event, with speakers including influential graphic designer Jonathan Barnbrook, the original culture jammers Ad Busters and illustrator Rocking Jelly Bean from Japan. We’re invited to give a presentation of our various installation projects in museums to an invited creative industries audience by the British Council in Bangkok on the 18th of October. The talk was a great success with around 250 people in attendance and followed by a performance of our live cinema performance LDN-REDUX. We hope this is the first trip of many to Thailand and have began conversations with the British Council there to develop a new collaborative project in 2013. We are excited to announce that our latest film project with the Crafts Council launches at London Design Festival this week. 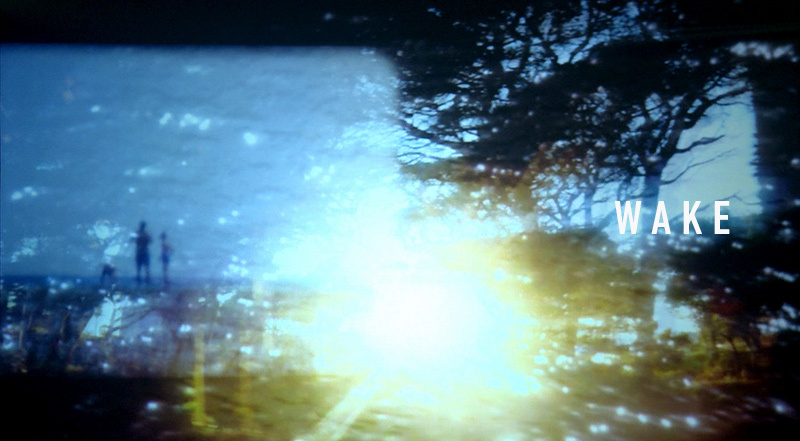 We have created a set of 7 beautifully shot films for the new touring exhibition Added Value? which questions the value of contemporary craft within the current landscape of branding and luxury. The exhibition showcases contemporary, high-quality and bespoke work from makers Zoe Arnold, Bompas & Parr, carréducker, Simon Hasan, Tracy Kendall and Oliver Ruuger. Finally! We will be bringing our live cinema performance LDN-REDUX home for a very special local event marking the opening of this years Hackney Film Festival + a special pre-launch outing for the newly formed Live Cinema Foundation organisation. So its on! 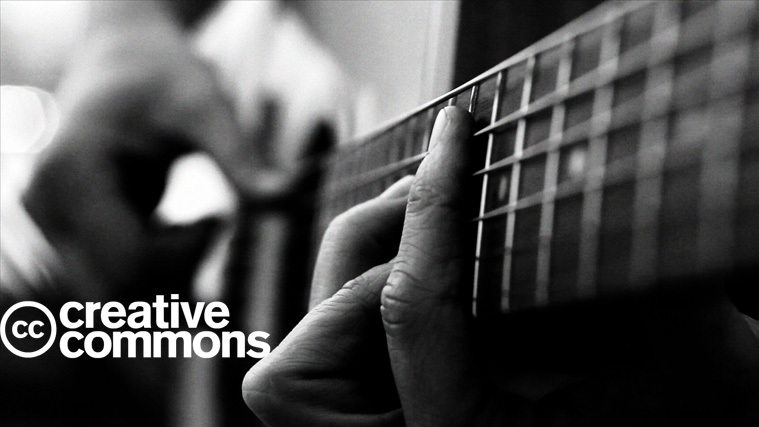 Friday 7th of September at The New Empowered Church. Put it in your diary now! Its going to be quite a night, with live audio visual performances from the likes of Scanner, Blanca Regina & Matthias Kispert plus long time TLS collaborator Scanone will be in full effect, with additional optical stimuli from some of east London’s local visual talent like Insight, Joe Catchpole and The Butchers. Get the full listings and info on how and where to buy tickets here. 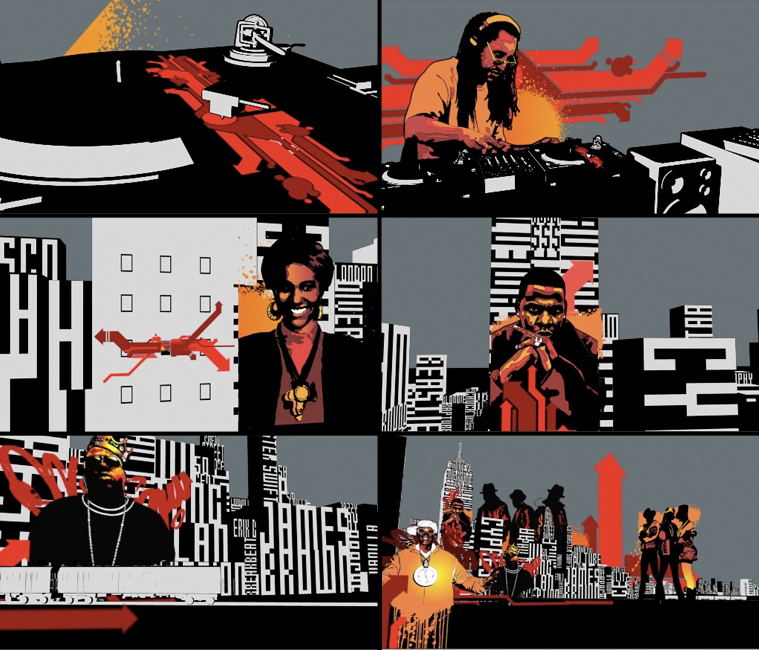 We’ve very excited to announce that our animated title sequence for the Fresh One‘s new TV production “How Clubbing Changed The World” will be broadcast on Channel 4 this Friday at 10pm! 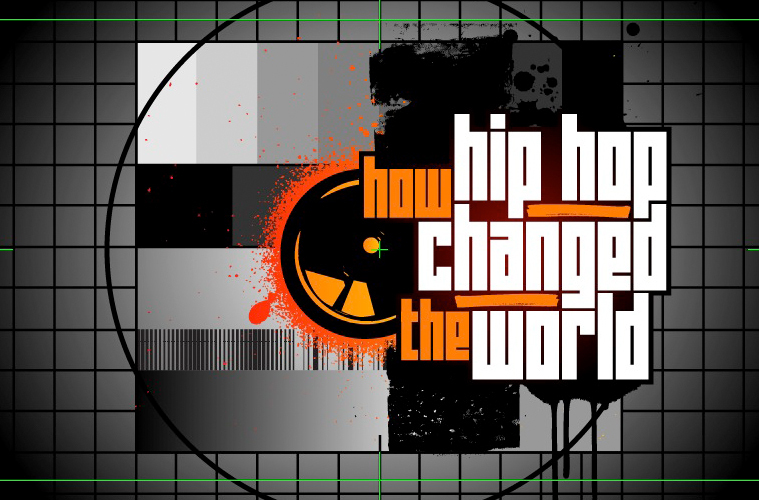 This show follows on from the excellent “How Hip-Hop Changed The World” program we worked on last year. “How Clubbing Changed The World” explores how clubbing went from a counter-cultural movement that defined a generation to a multi-billion-pound business, and reveals how, 25 years on, Great Britain is still king of the underground. For this project we teamed up with prolific illustrator Elliot Thoburn from the acclaimed Peep Show collective, graphic designer Mitchy Bwoy and animation studio BlinkinLab to deliver another 30 second title sequence, bumpers and stings. So make sure you tune in and chill out for an evening of raving from the comfort of your sofa! All the transmission info is here. Light Surgeon Christopher Thomas Allen has been invited to be part of the artistic team running the “European Souvenirs” creative workshop in Warsaw, Poland from the 27th – 30th of August. He will be one of several artists who will be contributing their skills as part of the development stages of an exciting new live cinema project commissioned by the European Cultural Foundation and the most excellent ZEMOS98 from Spain. 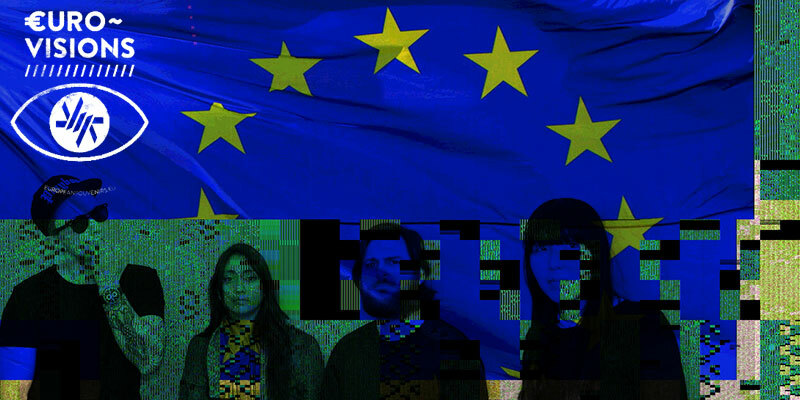 This innovative project brings together a group of young media artists from across Europe to make a new collaborative work that explores issues surround nationality, identity and migration through the remix of public archives and the creation of original electronic music. The Light Surgeons will be performing at Nozstock festival in Herefordshire on Saturday 28th July. We are taking over the ‘Wrong Directions Cinetent‘ on Saturday night for a couple of hours, showing some of short films and presenting our live cinema performance, LDN-Redux. Many thanks to Dan Brown @ Mash Cinema for the invitation. 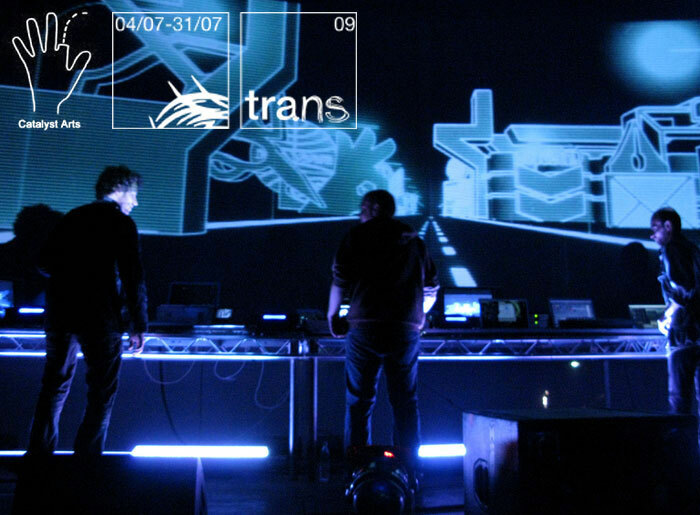 The Light Surgeons creative director, Christopher Thomas Allen will be talking at onedotzero‘s Cine-Mapping event at the London Transport Museum on the 3rd of July. In a short presentation he’ll be reflecting various projects that explore the concept of psycho-geography through his work in film, installation and live audio visual performances. Along side guest speaker Christian Grou from Neutral, he will be participating in a Q&A led by onedotzero‘s Director Shane Walter. For more info about booking tickets to the talk and the “Mind the Map” exhibition, please go here. We are very excited to announce the opening of a new installation project open this month in the amazing Horiman Museum in south London. Its part of a new exhibition called The Body Adorned and our installation represents an anthropology of dress in London and sits at the very heart of the gallery. The Body Adorned is a free exhibtion, part of Londons Cultural Olympiad and is on until the 6th of January 2013. Please go and see it! if you can’t go – you can lean more about the project and watch our documentation film here. 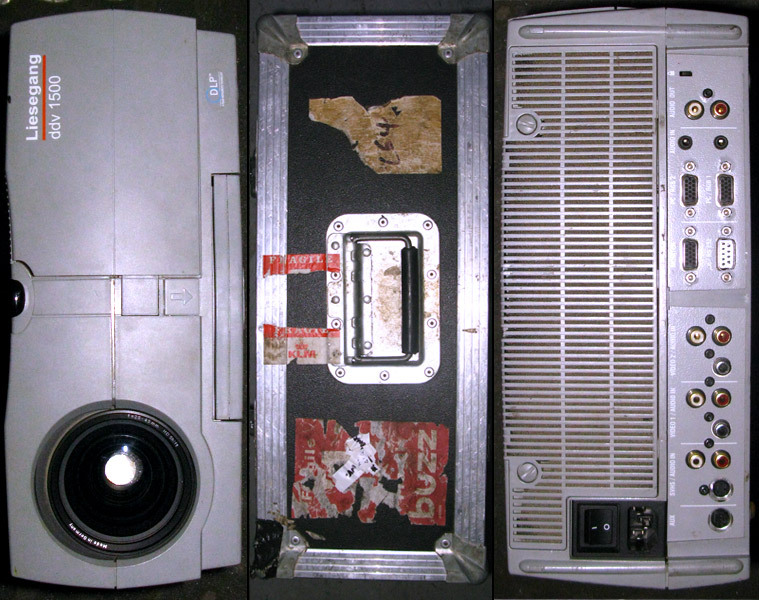 We are kicking off our touring live av shows in 2012 with a performance of our new live cinema project Super Everything* at the Unbox Festival in New Delhi, India. Completed in September last year through a commission from the British Council, this project explores the themes of identity, ritual and place across a Malaysian landscape. The performance is on the 2nd of February at the British Council, British High Commission, more info can be found here. We are also giving a talk as part of the festival on the 4th and then going on to present our other live av show LDN-REDUX at venues in Mumbai and Bangalore on the 11th & 12th.. more info on these additional shows to follow.. 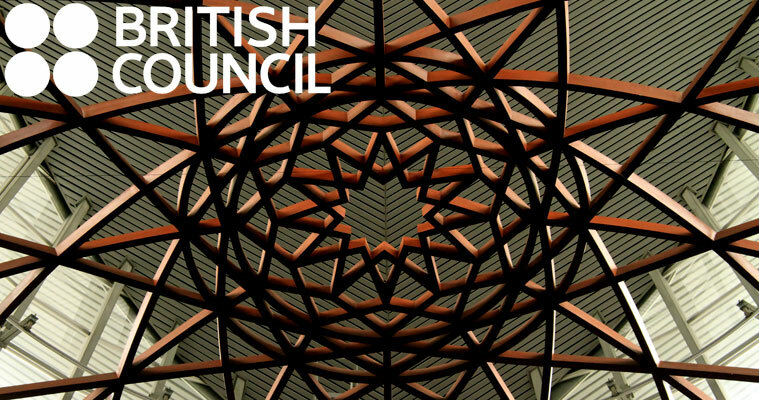 The Light Surgeons are in Indonesia this month giving a presentation at SSR School of Creative Media and performing their live cinema performance LDN-REDUX at the British Council’s Best Of UK Festival as well as the Jakarta Biennale. Tickets to all these events are free so if your in town please follow the links above for more info. We are very proud to announce that our short film Schlimazeltov!, directed by Light Surgeon Christopher Thomas Allen, has won the Coexist Film Award at the third Insight Film Festival in Manchester last week. The Coexist Award is offered to any film entered into the festival which best meets the brief of ‘uniting belief’ and is generously supported by The Coexist Foundation, which is an interfaith organisation working to promote, encourage and support engagement between Muslims, Jews and Christians. The film, which explores the concept of luck, or “Mazel” through a collection of voices from London’s Jewish community, was up against stiff international competition in this festival of films about faith, winning the award from a prestigious line of judges including Gary Kurtz the producer of Star Wars and Amanda Rice, head of diversity at the BBC. Mazel indeed! You can watch it there. 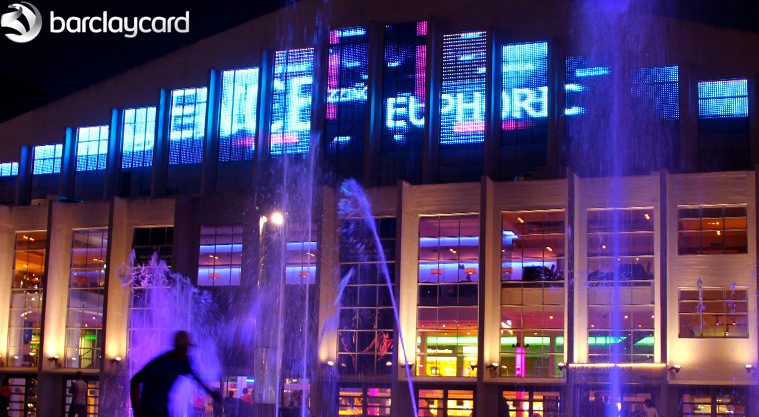 We’ve just completed a new piece of video production for the exterior of Wembley Arena utilising their huge LED screen. Working with creative duo Greenaway & Greenaway, we transformed this impressive facade into a stunning piece of visual music based on a track by classic British rock group The Electric Light Orchestra. This project was commissioned by Heart Productions for Barclay Card‘s Unwind Experience. Full documentation coming soon.. The Light Surgeons were very proud to present their latest live cinema performance Super Everything in the Black Box theatre at MAP KL for the KL Design Week in September. This ambitions audio visual project was almost a year in the making and is a new performing arts commission by the British Council Malaysia with some generous support in the way of equipment from Canon Malayisa. The resulting live cinema performance transported its audience on four separate nights across the Malaysian landscape to explore the relationship between identity, ritual and place. A collection of pic’s from these performances can be found on our Flickr steam here. Please visit the Super Everything website for more info, back ground and links to the other collaborating artists. Full documentation and international touring dates coming soon! 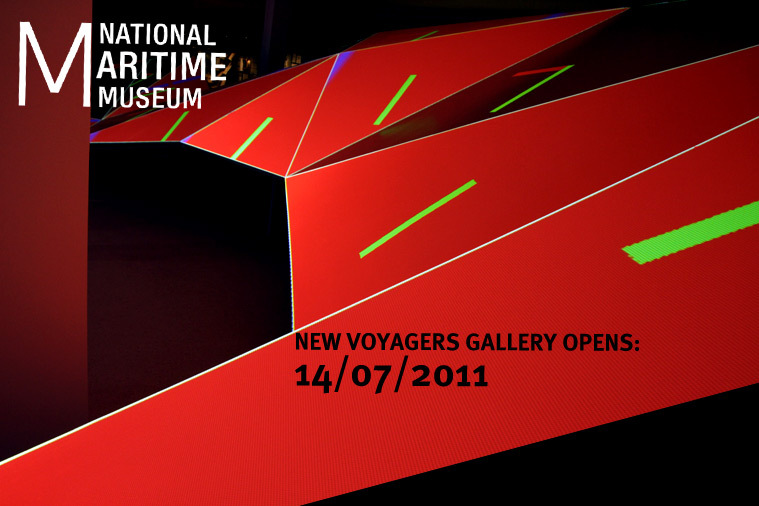 NEW INSTALLATION @ THE NATIONAL MARITIME MUSEUMS OPENS! 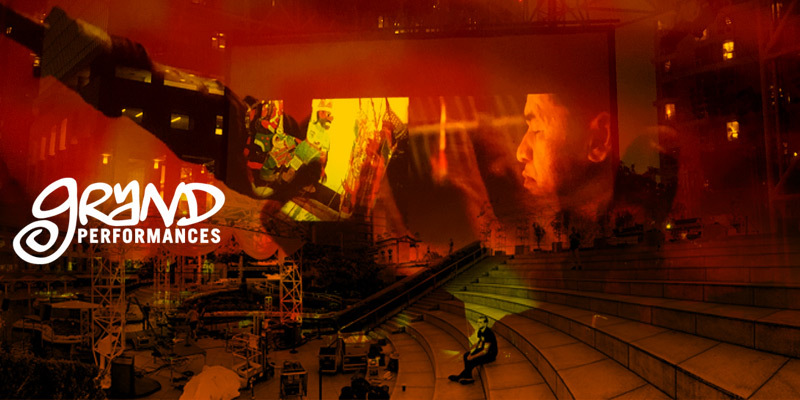 The Light Surgeons will be performing two live audio visual shows at the prestigious Itaú Cultural‘s ON_OFF Festival in Sao Paulo Brazil. The gigs take place on the 23th, 24th & 25th of July, Friday and Saturday night sees the premiere of a new performance project known as LDN-REDUX, a remix of their recent LDN24 installation project at the Museum of London. Sunday they present their feature length live cinema epic TRUE FICTIONS with Portuguese subtitles and for the very first time in South America. Creative Director Christopher Thomas Allen will also be giving a talk on the company’s past projects at Itaú Cultural on the 26th. More info of the festival can be found here. Overall creative direction has been from chief surgeon general Christopher Thomas Allen. It’s been lots of fun to do and we’ve pulled in several of our favorite collaborators: Mitchy Bwoy for his illustrative graphic prowess, the very talented Tom Wall from BlinkinLab for his mighty animation skills along with Jonny Cuba from Soundsci for meaty beats and sound design. This picture was taken as part of the last load out of Tudor Road, thanks to everyone who helped in particular Bob, Maggie and Kev. 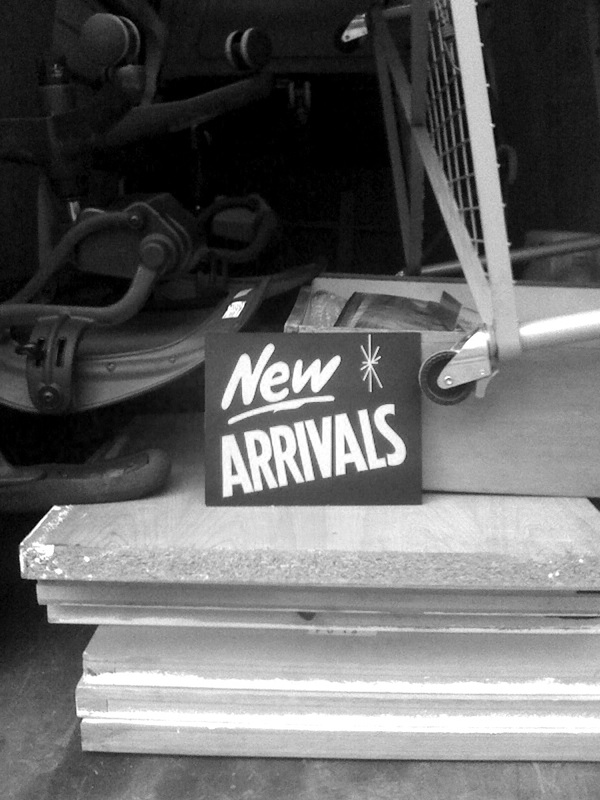 We just started what might turn out to be a very a long process of selling off some of our much loved but “not used enough to keep” equipment on ebay.. first batch is up now for the next week but we will be adding lots more over the next month as we migrate to our new studio space in Mare Street in Hackey.. 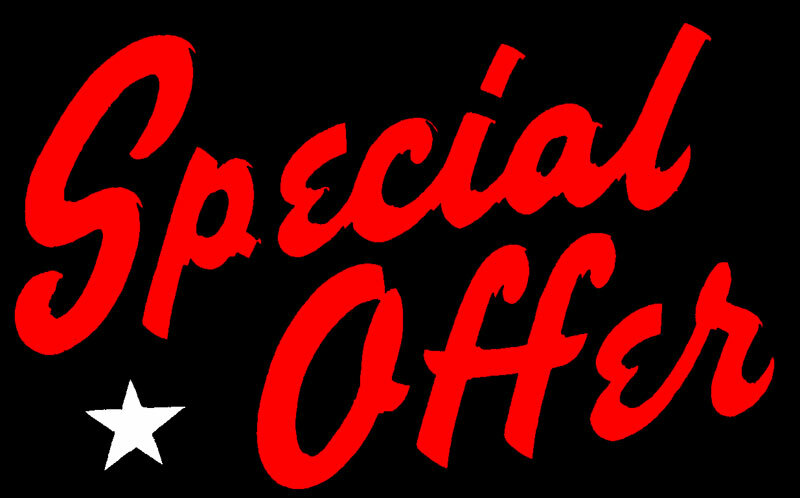 So if your looking for a bargain – check here first! We’ve started this new year with some very sad news. Our good friend and colleague Olivier Ruellet passed away on the 5th of January after becoming ill with flu in New York City. We can’t put into words how shocked we are by his premature departure, it is truly tragic to lose someone so young, intelligent and full of life. He will be missed by all who had the blessing of knowing him. 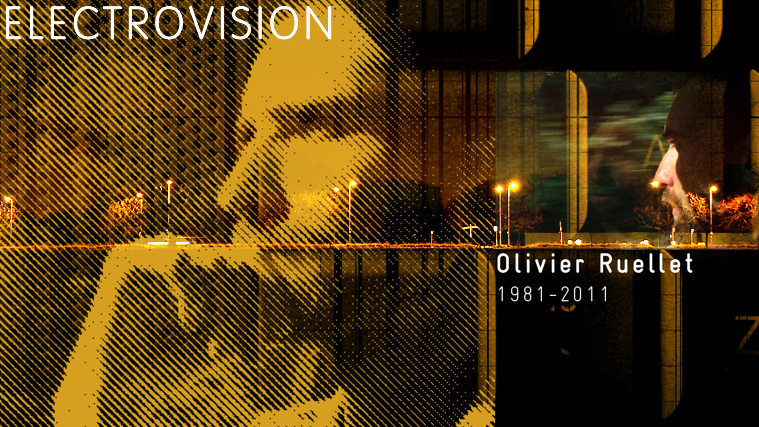 In his honor we have decided to present a special remix of our LDN24 footage at Electrovision, a live cinema event at the Roxy & Screen in Borough this Saturday 15 Jan.
Olivier was a regular at this event, we will be screening some of his work at the begining of the night and will start our set at 8.30 sharp, so please come down early! 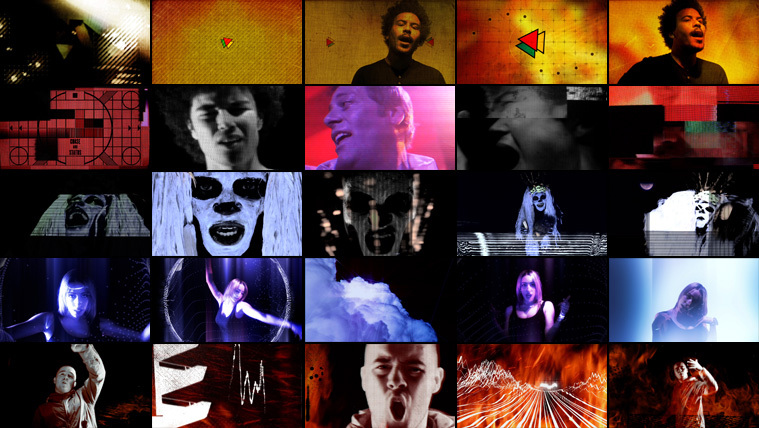 We have been working on a new set of tour visuals for the band Chase & Status who will be touring through out 2011. This involved shooting a new set of vocal collaborators including Liam Bailey, Mali, Takura, Delilah and Maverick Sabre, with guest direction from Dave Baum and Jasmin Jodry. Here are a set of stills to wet your appetite, with full videos coming soon. Light Surgeons Chris Allen and Tim Cowie have just returned from Kula Lumpur where they have been researching a new live cinema project supported by the British Council Malaysia. They spent their 10 day scoping trip meeting a range of different Malaysian artists and organisations that they hope to collaborate with on the new performance project. They finished their trip by giving a talk about their work to an audience of around 200 people at the British Council’s offices. We have posted some pictures from the trip on our blog. More info as this project develops will be posted here early 2011. Stay tuned. The Light Surgeons feature in Our History’s new exhibition East End Promise which celebrates the ever-changing visual and cultural landscape of east London. It documents a whole cross section of the ‘cultural migrants’ who made this area of London their home from the early 80s onwards. Opens Saturday the 9th of October until the 24th. For more info check here: http://www.eastendpromise.com/forthcoming.htm. Schlimazeltov! 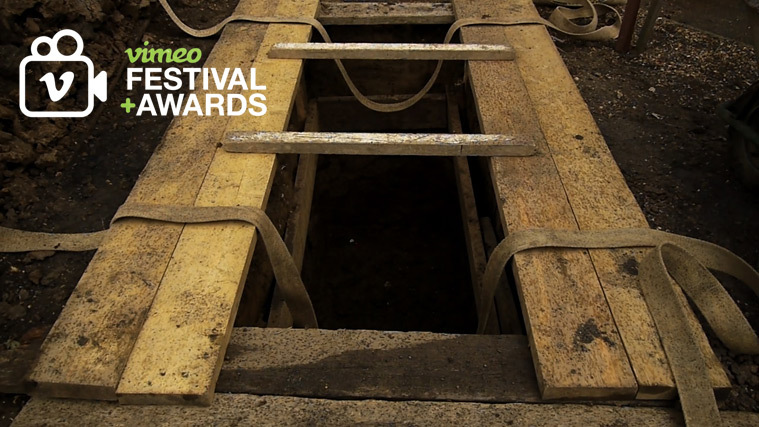 – Nominated for a Vimeo Award! Christopher Thomas Allen’s short documentary film Schlimazeltov! has been shortlisted for the first international Vimeo Awards in New York. We’re super stoked to announce that it’s now down to the final five! So it WILL be presented on the big screen in New York. Our fingers crossed it picks up an award on the 9th of October! If you’re all ready a “vimean” then you can VOTE for it here. If you’re not – why? – sign up! its a great site!! Our epic live cinema show returns to London for a special one-off performance as part of the 1st Annual Hackney Festival! We will be presenting True Fictions in a stripped back fashion at the venue The Others in Stoke Newington at around 9pm on Saturday 18th. Alongside this rare live performance, Christopher Thomas Allen’s short film Schlimazeltov! will also be screening at the Rio Cinema in Dalston on the Saturday afternoon as part of the festival – program starts at 3.45pm. Come down an support the local east end talent! 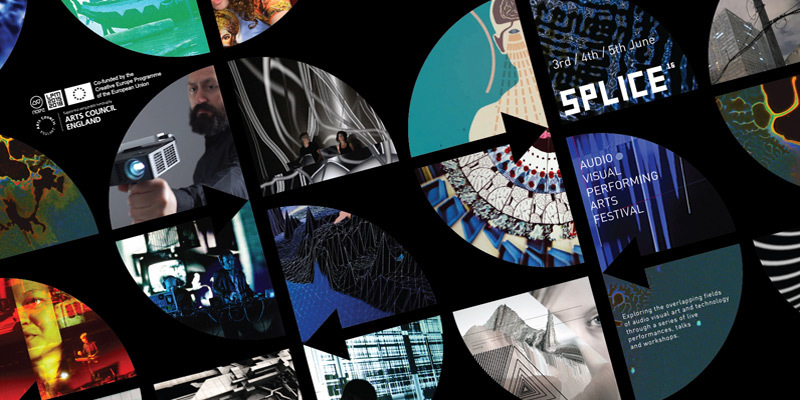 The Light Surgeons founder & director Christopher Thomas Allen will be presenting our work at the Semi-Permanent design conference in Auckland in New Zealand which is from 20th to the 21st August. It’s The Light Surgeons first outing to New Zealand so we’re very excited and honoured to be invited to present our work at this very prestigious design and moving image event along with many other talented international speakers. Chris will also be leading a workshop with AUT university students to create the visuals for the Semi-Permanent After Party and will be presenting his own audio-visual set there alongside lots of home grown musical talent. Check the website for more info. Welcome to our new website! It’s been a hot few weeks of WordPress hell here in the Surgery! But basically we’ve been re-building the site to make it easier to find stuff. There’s currently well over 60 different project posts covering film, installation, performance and artwork from almost 15 years of work now… We hope you enjoy the site if you are a new visitor or find it more user-friendly if you’ve been before… There’s a lot of nice new features: Visual menus which make it easier to browse our projects and a simple concertina menu system to refine your searches. Easy links to all our favorite social networks and channels on Vimeo and Youtube. A special new “in Development” category where we will be announcing new projects that are in the pipeline along with ones we hope to get off the ground and may require your help! We’ve also decided to add an “Art” or “Commercial” colour code to the site and you can toggle between these global categories at the top right hand corner of the site – allowing you to view all of our work from either perspective. So – we hope you enjoy the site and please subscribe to our newsletter to keep up to date on all things Light Surgeons. Be sure to watch this space as new work will be added on a regular basis now we promise! Many, many thanks to Olivier Ruellet for all his hard work re-building the site and our new intern Miglena Minkova for being a wordpress trooper in the studio. 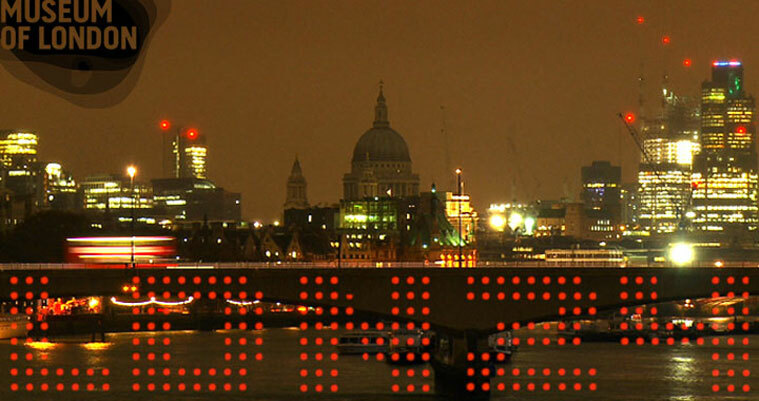 To celebrate the London Festival of Architecture The Light Surgeons are hosting a special late event at the Museum of London on Friday 25th of June from 6-9pm, entrance is free! Come and see our new installation LDN24, enjoy a drink and explore the new Gallieries of Modern London after hours. Should be an exciting evening of bingo, film, music and visual art. Our new media art commission “LDN24″ for the Sackler Hall at the Museum of London is now open to the public and it’s FREE! So please go down and check it out along with all the other exhibits in the newly re-opened modern galleries. We are giving a special talk at 1pm on Sunday the 13th in the Museum’s cinema space about the ideas and processes that went into making the piece. More info about that can be found here. We are very proud to announce that our new installation LDN24 for the Sackler Hall at The Museum of London will open to the public on the 28th of May, along with the re-opening of the museum’s Galleries of Modern London. A New York state of mind? Chief Surgeon Chris Allen will be throwing down an audio visual assault state side on April 22nd with a special visit to the Brooklyn Bowl‘s Eye Candy for Strangers night supported by the lovely people at Vimeo. Christopher Thomas Allen will be giving a brief talk about The Light Surgeons various exploits in sample culture on Sunday 28th March at the HMV Curzon Cinema in Wimbledon before a screening of Brett Gaylor’s excellent documentary: RIP! A Remix Manifesto. If you haven’t seen this movie it’s a must see. The event is organised by Mercury Media. We’re very proud to announce that Light Surgeons founder Christopher Thomas Allen’s short film Schilmazeltov! is part of the official selection for this years SXSW Film festival in Austin Texas. This is the second year running he’s had his film work screened there and this time he will be heading over to represent himself. If you’re heading along to the festival Schilmazeltov! is screening as part of the Global SX shorts program on Sunday 14th and Tuesday 16th of March. 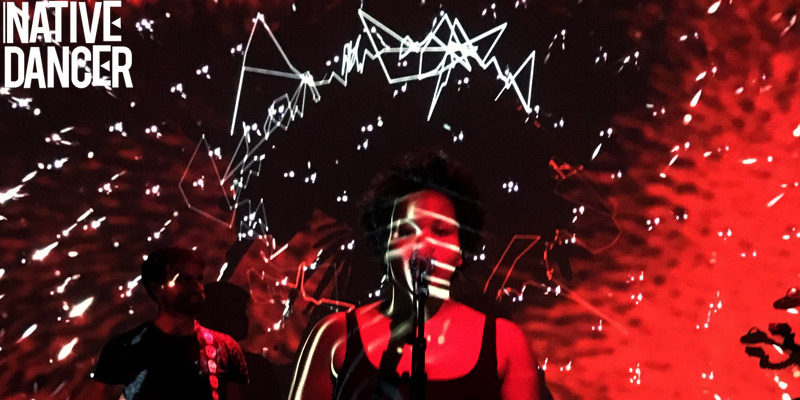 The Northwest film forum‘s moving image festival Bydesign is screening an hour long retrospective program of The Light Surgeons moving image projects from the past ten years. The screening takes place at the Northwest Film Forum in Seattle on March 6th. More info here. 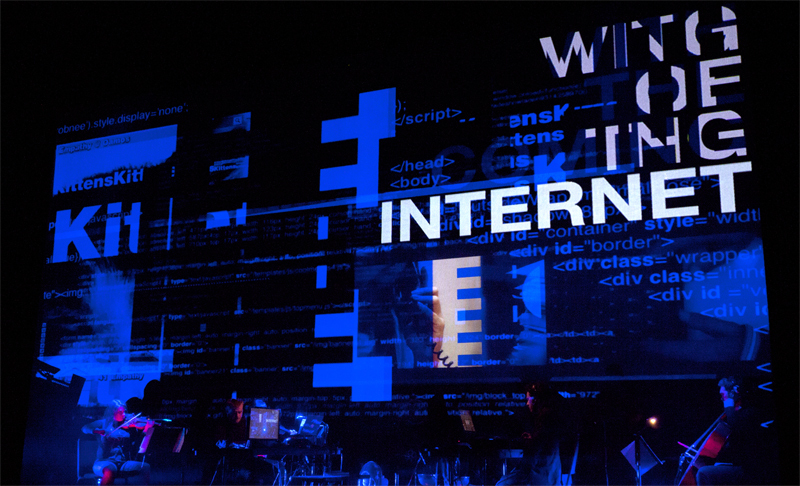 The Light Surgeons present a new audio visual set exploring the vast expanses of internet video at Stream Lounge, part of the Queen of Hoxton‘s first birthday celebrations on the 3rd of March. 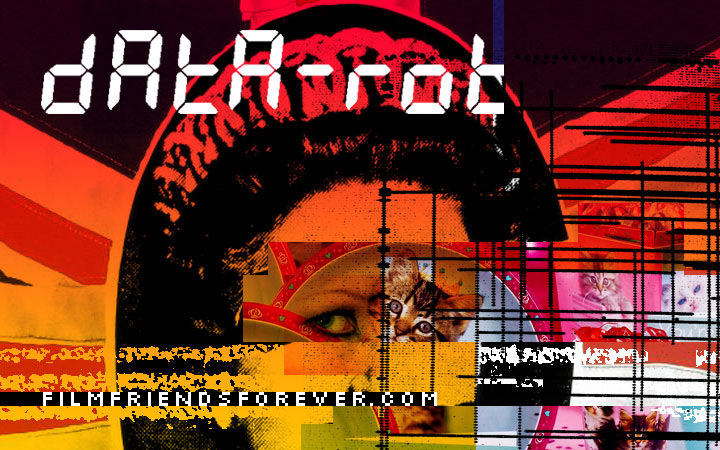 In collaboration with the excellent Film Friends Forever night, this collision of virals, webisodes and our favourite online mash-up’s will be preceeded by a screening of the award winner documentary film RIP: A Remix Manifesto. More info on the event available here. 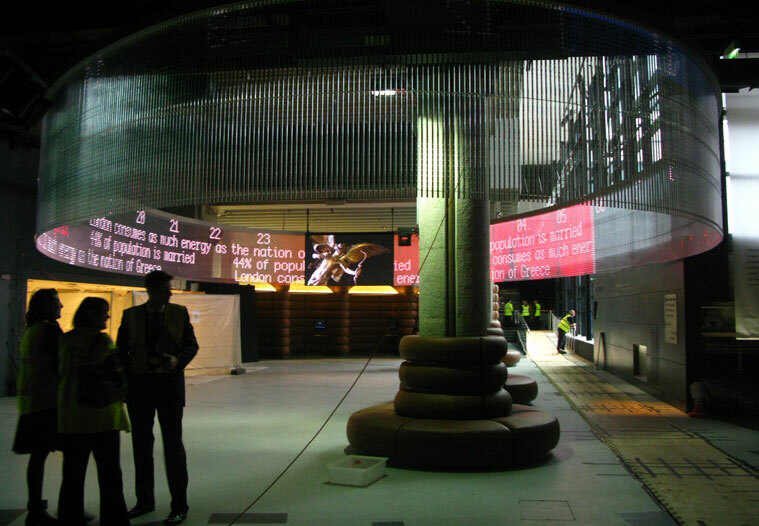 We kicked 2010 off with a new audio visual installation project in collaboration with designer Ron Arad. “The Modern Vision of Sartorial Spirit” was commissioned by fashion label Notify for a four day event at the Pitti Uomo mens fashion fair in Florence. You can see a teaser movie for the installation here and full documentation of the event here. Our True Fictions live cinema performance continues to tour international arts and new media festivals. 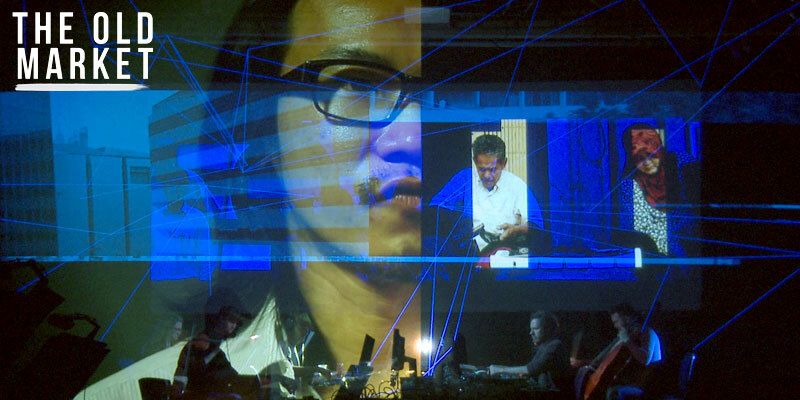 This month sees its Asian premiere on the 13th November at the Microwave New Media Arts Festival in Hong Kong. The show will be utilising a huge 4mm pitch LED screen provided by Light House. 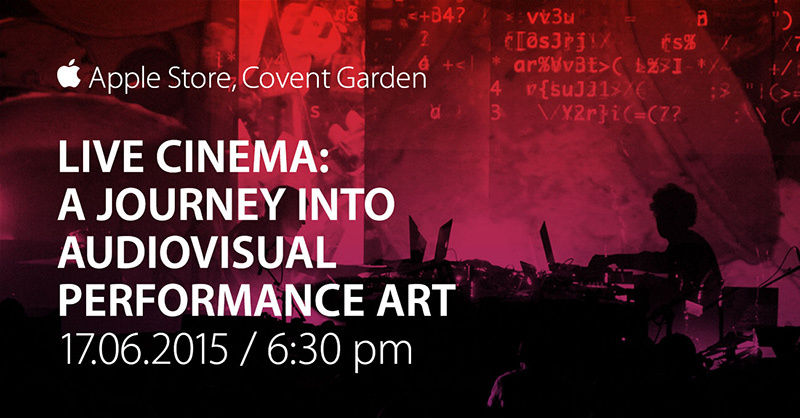 The performance will be followed by an audio visual set by long term Light Surgeons collaborator Scanone. Christopher Thomas Allen’s short documentary film entitled “Schlimazeltov!” premieres at the Tricycle cinema as part of the UK Jewish Film Festival on the 12th and 15th of November. 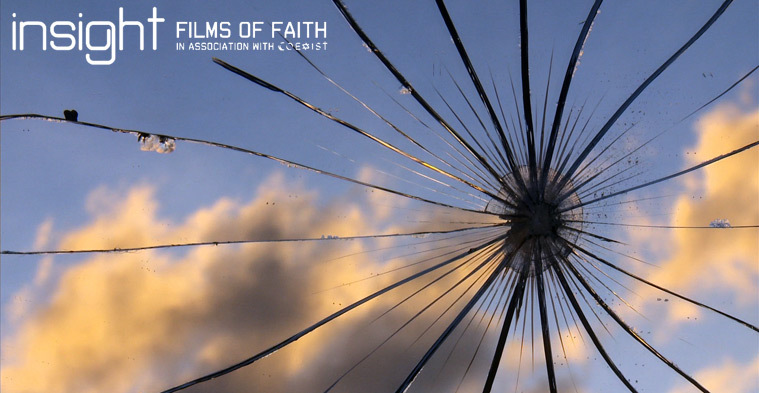 The film was made in collaboration with Pilgrim Films and it explores the concept of “Luck” or “Mazel” through a collection of voices from London’s Jewish community. For more infomation click here. 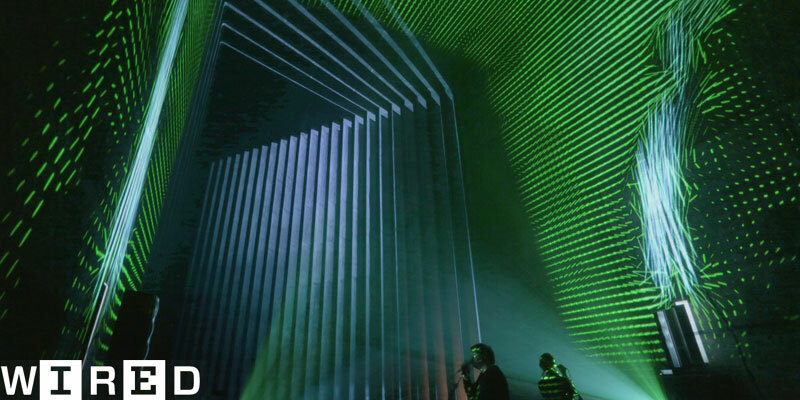 We’ve just finished producing the visuals for Chase & Status who are now on tour around the UK and Europe. For more info on their tour dates please check here. We created a total of 15 original visual tracks that incorporated the bands various vocal collaborations with a wealth of motion graphics and animation by the likes of BlinkinLab, SparkAV and the art direction skills of designer Mitchy Bwoy plus a host of other creative talent. To view all the clips click below! True Fictions continues to tour the UK in 2009 with a special, free performance in Belfast’s amazing Waterfront concert venue on Saturday 25th July. The show is being organised by Catalyst Arts as part of their summer programme ‘Capitalist Art’s and part of the TRANS festival; now in its third year and featuring a multitude of events embracing new trends, art forms, cultures and technologies. 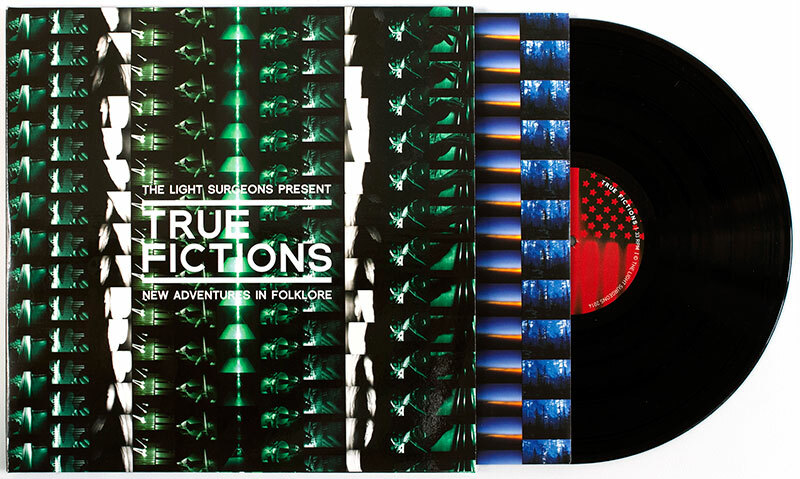 The Light Surgeons will be presenting True Fictions, their live audio visual performance project at the Loop festival in Brighton on 11th July. 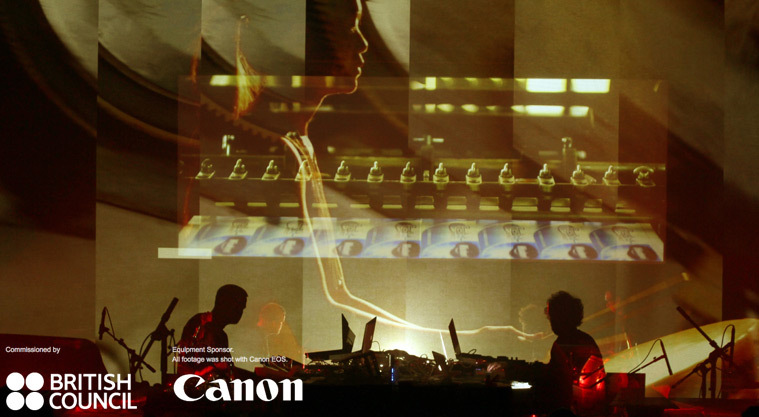 The Light Surgeons founder and director Christopher Thomas Allen will be giving a talk at the Adobe Inspired Media seminar at the Curzon Cinema, Soho, London on Tuesday 28th April. More infomation can be found here. The installation “Dialog” by The Light Surgeons founder and director Christopher Thomas Allen continues to tour international art exhibitions. It is currently part of the BIENNALE CUVÉE, a collection of art works selected from all the international art biennales in 2008, exhibited at the OK Center for Contemporary Art in Linz, Austria. The exhibition is also part of the offical program for Linz as the European Capital of Culture for 2009. More information on the exhibition can be found here. 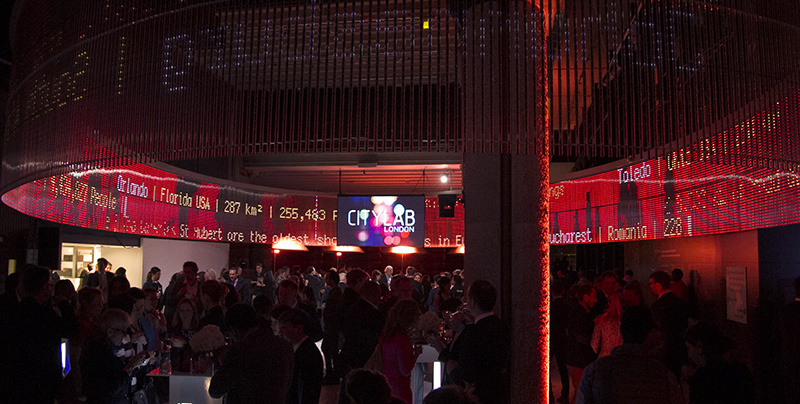 The Light Surgeons created the animated video production for Blackberry’s trade stands at the GSMA Mobile conference in Barcelona and C-BIT technology fair in Germany. More infomation here. The Light Surgeons will be presenting their live cinema project, True Fictions at the BFI’s IMAX cinema as part of onedotzero festival on 15th November. The show is part of a triple bill along side fellow pioneers in the audio visual arts: D-Fuse and Hexstatic. The Light Surgeons founder and director, Christopher Thomas Allen, represents the UK at Media City Seoul 2008 with his installation “DIALOG” which was originally created for the Articulated Exhibition at the OXO Tower in London. An additional set of typographic films were specially created for this presentation by animator Hyeseung Yoo to provide a Korean translation of the piece. The exhibition runs until 5th November at The Seoul Museum of Art. The 4mm LED’s were looking great for the international launch of Blackberry’s new Bold 3G mobile, a purely visual operation for The Hospital Events Company in London’s Covent Garden. Watch the documentation of this project here. We’ve just completed a short film created during a two week workshop in Sapporo, Japan. Watch it and find out more here.